Jacques Saadé decided to come to Marseille where he founded CMA in 1978 and located the office in a building on Boulevard Mirabeau. With the CMA CGM Group growing, Jacques Saadé had another building constructed very close to the first one, though even it soon turned out to be too small. 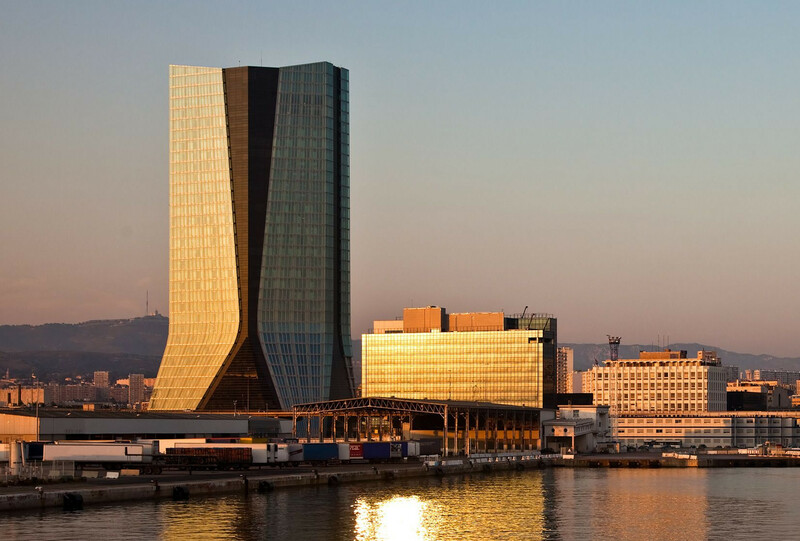 So, to further show his attachment to the city, Jacques Saadé decided to build a new Head Office in the surroundings in Marseille in 2004, the CMA CGM Tower. It opened its doors to its 2,400 employees in January, 2011, and became the centre for strategic decision-making for CMA CGM Group. Architect Zaha Hadid was asked to design the CMA CGM Tower and construction began in July, 2006, ending in December, 2010. Zaha Hadid became the first woman to receive the prestigious Pritzker Prize in 2004. The union of complexity and subtlety, daring and femininity in her works appealed to CMA CGM Group. The group asked her to design the new Head Office, a 147-meter high tower and its 135-meter long annex, which represent CMA CGM Group’s daring and initiative. 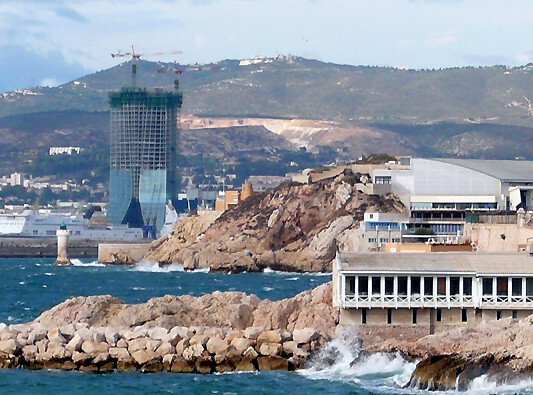 The CMA CGM Tower is at once a symbol and a link between the port and the city of Marseille, anchoring the Group to its environment and its time. 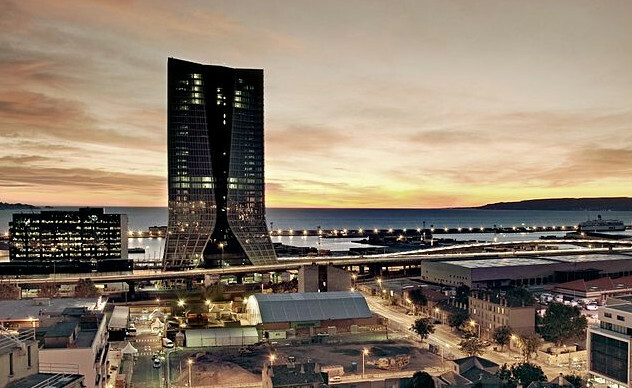 Asymmetrical and sculptural, the CMA CGM Tower is not just a symbolic building; it also offers a great variety of environments and work spaces that boast stunning views of Marseille. It is in direct contact with its surroundings and its international role. Connected by a curved glass footbridge whose silhouette resembles an extension of the Tower’s elegant exterior, the annex is nearly as long as the tower is tall (135 meters). Contrary to what its name implies, the annex plays an essential role because it houses the equipment necessary for the Tower to function: IT equipment, generators, cooling units, boiler rooms, and technical installations. The CMA CGM Tower faces the sea and offers CMA CGM Group employees an unparalleled work environment. The quality and comfort of the work environment for the building’s 2,400 employees was one of Jacques Saadé’s foremost requirements. Accessibility for persons with reduced-mobility was taken into account throughout the CMA CGM Tower. The registered office also offers an in-house university for developing employee skills, an auditorium that hosts internal presenters as well as renowned lecturers, three fully-equipped fitness rooms staffed with sports trainers, and a high-quality company restaurant. In addition, the entire project was conducted while paying strict attention to environmental concerns. Natural light is present in all the offices. The double-skinned glass system, cooling through chilled beam technology, and electronic temperature management ensure optimal thermal protection while limiting energy consumption. The CMA CGM Tower was also built in strict accordance with earthquake-resistant construction rules in anticipation of future regulations.